Charleston has recently been taking the food scene by storm. It has become a major food staple in the South even rivaling New Orleans. Charleston is home to some of the most creative and fun restaurants geared to all kinds of people. This city has also popped up on one of the most important food scenes and that would be the dessert scene. Locals and travelers can indulge at some of the best Charleston Bakeries listed below. If you love cupcakes piled high with frosting, you need to try Cupcake Down South. This cupcake shop earned their spot after competing on Cupcake Wars. They write out their cupcake options daily on their huge chalkboard. Although they switch out their cupcake flavors daily, a constant presence on the board is their bestseller, Red Velvet Cupcake. If you want to take cupcakes home for the family to enjoy, you can buy 7 cupcakes and get two free. Right now, Cupcake Down South is selling cupcakes for a cause. They are sending a portion of their proceeds to AME Church in order to support those affected by the Charleston shooting. Are you tired of those chain coffee shops and bakeries? Try this sweet shop. In 2010, Wildflour popped up on Spring Street and made its mark. Stop by on a Sunday to celebrate Sticky Buns Sunday. Every Sunday, Wildflour whips up as many batches of Sticky Buns as they can. To make the most out of this experience, make it a combo. For just $3.60, your Sticky Bun will come topped with pecans and cream cheese frosting. Wildflour makes all their pastries in shop to guarantee freshness. They are also pet friendly and offer doggy biscuits. You don’t have to leave your furry friend behind. Sweet like sugar! This adorable sweet shop has so much to offer in flavor. Their cupcakes have a great cake to icing ratio. Peruse the chalkboard with all the sweets in the shop for your selection. Sugar uses fresh ingredients and makes all pastries fresh daily. Get a coffee to pair with your pastry. Try the iced coffee with frozen coffee cubes. As your cubes melt, your drink doesn’t get watered down. Instead, the coffee flavor becomes more prominent as you drink. This late night dessert bar offers an ever-changing menu and dessert drinks. Kaminsky’s is usually packed with hungry partygoers each night. The line to get in usually extends from outside the front door, a sign that this place is a must to try. Each dessert is prepared fresh each day and they are displayed in a case in the front. Instead of a menu, the guests are encouraged to pick a dessert from the case. If the Tollhouse pie is available, don’t miss your chance, this heavenly pie tastes just like a chocolate chip cookie. Pair your decadent dessert with the Toasted Marshmallow drink. If you’re gluten free you can still enjoy Kaminsky’s, as they offer a wide range of gluten free options. If you’re looking to sink your teeth into a homemade cookie, try King Street cookies. This summer they are open from 8 a.m. to 8 p.m. All their cookie options are kosher and many are gluten free. On display in the shop are three-dozen different cookies to choose from. Buy three cookies and you score free unlimited milk. Power to the cookie lovers! There is a milk bar in the store and customers have the options of whole, skim or chocolate milk. King Street Cookies even offers milkshakes that have their cookies mixed in, as if this cookie store couldn’t get any better. 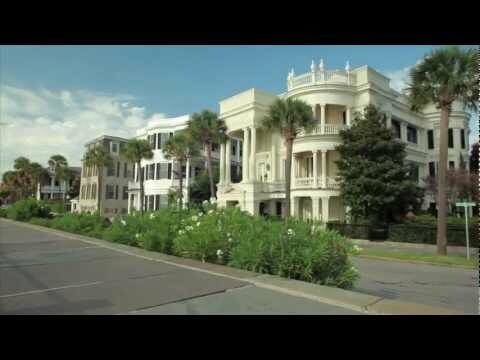 Spoleto Festival USA in Charleston, S.C.